If you live reasonably close to the Mexican border, you can incorporate some foreign flair into your holiday observances this year. A day trip is a great way to explore Mexican shops as you look for treats to use in your celebrations. Just be sure that your Mexican auto insurance from Mexican Insurance Store is current. You can verify your Mexican Insurance Store Mexico car insurance details online. As you take the kids exploring, candy shops are great for finding Mexican goodies and piñatas. A large candy shop typically has a great piñata selection, including both traditional and character designs. Whether you are looking for an Olaf piñata or a multi-star design, you are more likely to find what you want in this setting. Additionally, a Mexican candy store is a great source of both familiar hard candies and uniquely flavored options. You’ll find piñata assortments with small toys as well. Look for fun candies for stockings as you select Paleta Pallaso treats or candy-filled rotary toys. Spinning tops are also popular Mexican holiday trinkets. Boxes of Mazapan are great as small Christmas gifts for neighbors and co-workers as well. Pastelerías are great to visit closer to actual celebrations if you want some delicious pastries or cakes. The rosca de los reyes is typically available after Christmas as the New Year approaches, used as a food for celebrating the visit of the Magi, observed January 6 in Mexico. You can also pick up rich, dense bolillos, great rolls for hearty sandwiches. If you will be putting on a buffet, sourcing your sandwich rolls in this setting will provide a much better quality that the lightweight bolillos typically sold in U.S. grocery stores. Even a short trip across the border can create legal problems if you don’t have Mexico insurance. Although you may only spend an hour or two on the other side, a lack of Mexico car insurance from Mexican Insurance Store can create a huge delay if you are involved in a wreck. 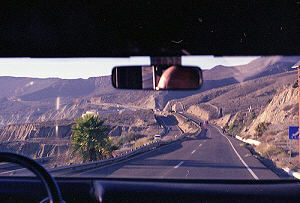 Additionally, your Mexico insurance online allows you access to road support for unexpected car trouble. You can get help with running out of gas, locking yourself out, or other significant vehicle problems. Mexican Insurance Store Mexico auto insurance comes with Roadside Assistance throughout Mexico. Going to Mexico to shop around is an enjoyable activity the whole family can do. It is tiresome but we have our own car and we can relax inside it while it is running. I always remind my husband not to forget our Mexico insurance each time we drive to Mexico. Mexico is a great place to go with family for a Christmas outing. Last time I were there, my children really enjoyed the various kinds of piñata. We enjoyed uninterrupted safe drive with the confidence that we were fully covered by Mexico insurance policy for our car and holiday. Christmas time is all about shopping spree. Due to rush hours and many activities to do, you may leave your Mexico insurance at home. It helps to check it before driving. During Christmas Holiday, almost everyone takes a vacation of the last couple of weeks in December. People spend longer time and days with friends, family members and relatives.Get Mexican insurance online. During Christmas season, weather is mild and warm. Most families shop around for gifts, grocery items, and ornaments in puestos (market stalls). More and more people, including tourists, are enjoying the joyous experience for this Yuletide season. The whole family would normally prepare tamales (chicken meat or chicken filling enclosed in corn dough). With a special religious service, it marks the end of Mexico Christmas celebration. Previous post: Mexican insurance for Canadians – What Is Required?